Since 1995 the Fête de la Musique has been taking place each year in Berlin, on the 21st of June, the day that marks the beginning of summer. As of 2018, we choose a particular district each year as our ‘focus district’. Although the Fête has been going in Berlin for a while now, a brand new idea (since 2018) is to each year shine a particular light on a specific district of Berlin: last year was Lichtenberg, and this year it’s Treptow-Köpenick. 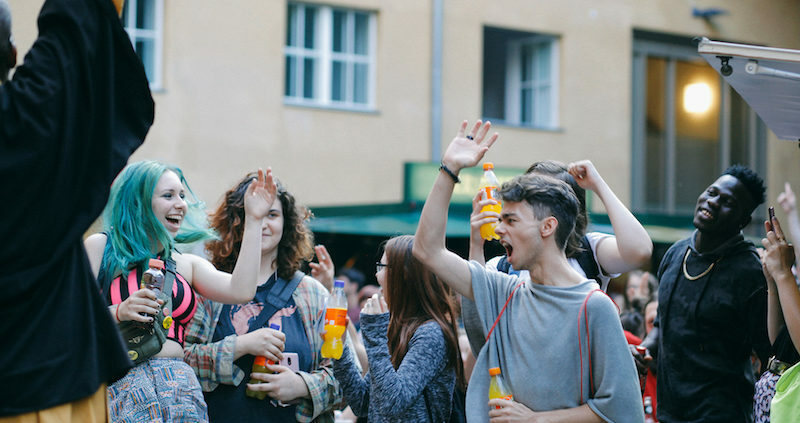 The area will of course be packed with loads of music makers and music lovers on the 21st June, but in fact all year round Treptow-Köpenick offers an extremely broad cultural programme, a wide range of fun things to do – and an extremely interesting cultural history. Köpenick in the 1800s boasted literally hundreds of laundries, and became known as the “washhouse of Berlin”. But the district achieved a very different and slightly dubious notoriety when an unemployed cobbler named Wilhelm Voigt bought a military uniform from a flea market and then proceeded to single-handedly take over the local council offices, placing the mayor under arrest before disappearing with the town treasury’s money. This notorious character who became known as “Captain of Köpenick” eventually had an exhibition devoted to him over a hundred years later, in 2016. Berlin soon developed into an important industrial city. Industrial sites, power stations and industrial yards still characterise the city today, and that goes for Treptow-Köpenick too. While the Schöneweide Industrial Salon holds a permanent exhibition providing insights into Berlin’s industrial culture, a number of other empty industrial halls have been taken over by artists of every stripe, using these industrial spaces to devote to making music and art of every kind. One example of this is the famous Canadian musician and photographer Bryan Adams, who in 2013 secured an old production hall on the former AEG industrial site in Oberschönweide, and has been renting it to photographers and visual artists (including Alicja Kwade, Jorinde Voigt and Olafur Eliasson) since 2018. A plethora of places for planned and unplanned performances! Just make music – we’re into spontaneity! In 2001, the districts of Treptow and Köpenick were merged to form the Greater Treptow-Köpenick District. Within the district border there are a ton of old and new concert halls and cultural centres. The Kunstanstalt, the Kosmosbühne, Sweet Ground Music and the Friedenskirche Grünau are just a few of the venues participating in this year’s Fête de la Musique. With the FEZ, the Wuhlheide not only houses Europe’s largest non-profit children’s, youth and family centre, but is also a popular location for open-air concerts with the Parkbühne. On the large green areas of Wuhlheide and Treptower Park (also used by the electro scene for spontaneous raves), we’ll be hearing many amateur and professional musicians making music spontaneously on the longest day of the year. Focus on Treptow-Köpenick – and on YOU! Whether the Upcycle flea market (“market of possibilities”), the poetry competition (East Berlin Poetry Slam) or the jazz festival (Summer Jazz, 02. – 04. August), the southeastern edge of the capital has plenty to discover throughout the year. 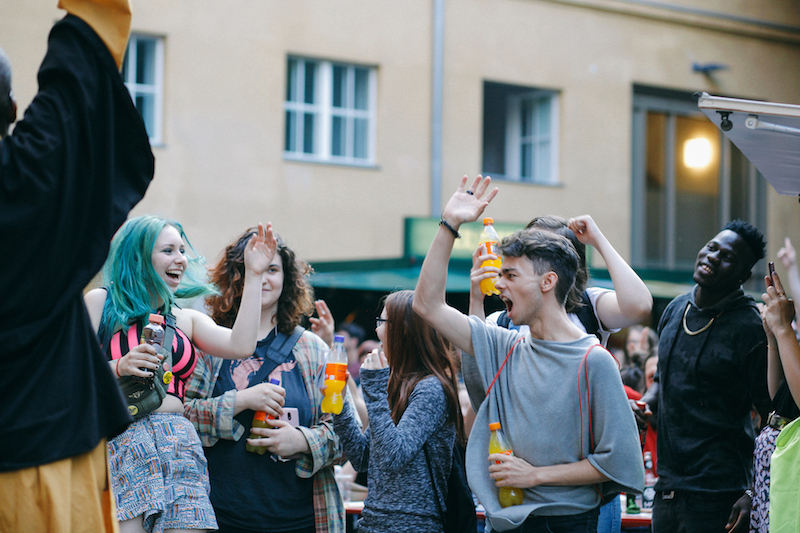 On 21 June, however, the cultural scene in Treptow-Köpenick will be dominated by the Fête de la Musique and spontaneous music-making. Like last year, the Fête will be introduced by a big opening event which set to take place the evening before: you’ll be able to find all relevant info soon on this site.